This past week, I have watched with concern the issue play out over DACA and the attitude of US leadership toward immigrants from different nations. The alleged quotes of President Trump from his meeting with members of Congress suggest he may value some of those immigrants more than others. This issue hits close to home for me, as I am an immigrant and therefore personally involved in this issue; I came to live and work in this country from the Netherlands just a few short years ago. I’ve learned much from Americans, but hopefully I have also contributed something from my own culture to enhance the greatness of this nation. I have high esteem for the people of Norway, who live just over the North Sea from my home country. If more of them came to join me in the US, I would be delighted, as I believe they would contribute positively to the culture and understanding here. I hold the same feelings, however, for the people of all nations, including those of Africa, Central America and the Caribbean. Natives of each country bring a different perspective and experience and historical understanding to this country. The US is a richer nation with the contributions of citizens from around the world, regardless of their home country. Unfortunately, the alleged statements by the president continue to foment the divide in our nation and increase the tribalism that seems to have dominated our political landscape for the past year. We’re seeing that play out in real time as Congress attempts to pass a spending bill by this Friday that would keep the government open. Much of the conversation is centered on finding a solution to DACA, and we at ACT agree: It’s time to find a permanent solution that provides protection for Dreamers who have contributed to making America a richer and more diverse country. We call on Congress to pass meaningful legislation that, among other things, provides a path to citizenship for those—as the Los Angeles Times suggested in September—who have avoided significant troubles with the law and have lived as productive members of society. ACT’s mission is to help people achieve education and workplace success. And by “people,” we mean all people, regardless of their gender, race, creed, income level—or their country of origin. This is why I was so excited to come here and lead this wonderful, nonprofit organization, joining a diverse group of staff members from Iowa, across the US, and around the world. Our mission is a global one, and we have no favorites. 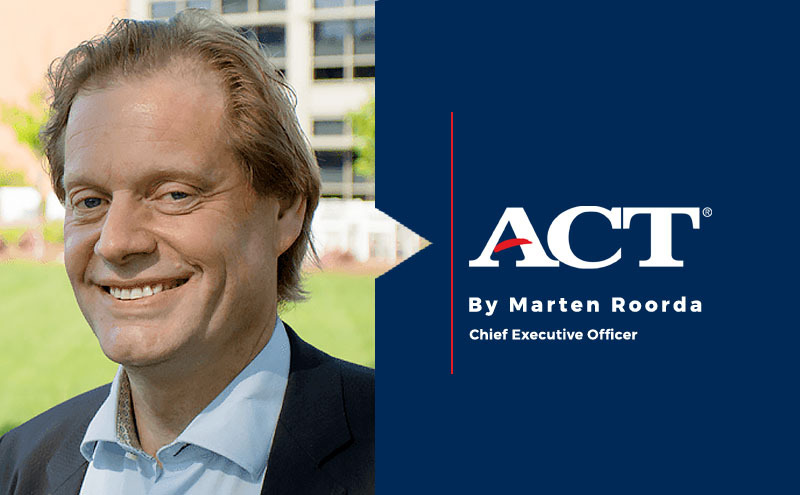 ACT and I look forward to continuing our work to help individuals in Haiti, Africa, Mexico, Norway, the US, and all countries around the globe succeed in education and the workplace.